Richard Cheek, Sr., possibly a son of John CHEEK, Sr. (although this is debated), was born around 1680-1690 (rough estimate) in Old Rappahannock (Essex) Co., VA, and died 1745 in Beaufort Co., NC. He married Jane, possibly RANDALL or RANDOLPH. +William Cheek, b. abt.1720? in Virginia; d. 1800, Warren Co., NC; m. Sarah BLAKE, daughter of William & Mary BLAKE, abt. 1747 in Granville Co., NC. +Richard Cheek, Jr., b. abt. 1720? in Virginia; d. aft. 1770 probably in Chatham Co., NC; m. Ann "Nancy," last name unk. Elizabeth Cheek, b. around 1720; d. aft. 1763; m. John BURNEY, abt. 1738. John Burney owned land on Cheek's Mill Creek and the Tar River in Edgecombe Co., NC. He sold this land (350 acres) in 2 transactions in 1754 and 1757 and moved to Orange Co., NC, where he obtained a land grant for 525 acres on the Little River in 1756. He obtained a second grant for 395 acres in Orange Co. in 1757. His will dated Apr. 10, 1761, proved May 1761, names sons William, Richard, Simon, David, and John, and refers to land on Little River and Haw Branch. His wife Elizabeth was still living in 1763 according to records concerning the administration of the estate. Reportedly, she later moved to Georgia. See The Burneys of North Carolina by Pauline Burney Brightman (1992). Jane Cheek, b. 1722, Spotsylvania Co., VA; d. 1797, Moore Co., NC; m. Cornelius TYSON, abt. 1744 (b. 1722; d. 1795). They moved to Cumberland Co., NC, in 1752 and settled on the Deep River in an area that later became part of Moore Co., NC. They were members of the Cane Creek Monthly Meeting (Quaker church) in Orange Co., NC. Quaker records identify Benjamin, Seberah (Sabra), Cornelius Jr., and Aaron as children of Cornelius & Jean (Jane) Tyson. In addition, Richard Tyson, Thomas Tyson, Rebecca Tyson, and Jane Womble (formerly Tyson) were disowed by the Cane Creek MM for marrying "out of unity." (See Hinshaw's Ency. of Quaker Genealogy, Vol. I.) Cornelius Tyson, Sr., died testate in Moore Co., NC, in 1795; his will names wife Jane, children Benjamin, Aaron, Sarah, Rebecca, Jane, & Thomas. (Moore WB A, p.180.) Jane died testate in 1797; her will names daughters Rebecca MYRICK, Sarah STINSON, and granddaughters Jane TYSON, Jane HOPSON, Jane MOORE, Jane STEVENSON, & Sabra GILBERT. (Moore WB A, p.190; see Fred A. Olds, Abstract of NC Wills Supp. Grimes' Abstract (1925), p.191.) Children: Sabra Tyson (m. Joseph GILBERT), Richard Tyson, Cornelius Tyson, Jr. (m. Arcadia BENBOW), Benjamin Tyson (m. Ann MAYNER), Thomas Tyson (m. Margaret SILER), Sarah Tyson (m. John STINSON), Aaron Tyson (m. Lydia BEALS), Rebecca Tyson (m. unk. MYRICK), Jane Cheek Tyson (m. Samuel WOMBLE). +John Cheek, probably b. bet. 1720-1725 in Virginia. John is named in his father's will in 1743. He may be the John CHEEK who settled in Bladen (Anson) Co., NC, in 1745. +Robert Cheek, b. abt. 1730; d. 1800-1810, Moore Co., NC. +James Cheek, b. abt. 1730-1735; d. bef. 1790, Laurens Dist., SC; reportedly m. Ann MAYO, daughter of William MAYO & Martha JOHNSON. +Randolph (Randall) Cheek, b. 1730-1735; d. Feb. 1, 1816, Chatham Co., NC. Ann Cheek, maybe b. 1730's. She was unmarried and under age 16 when her father's will was written in 1743, so not born earlier than 1727. Possibly married Samuel SWEARINGEN, Jr., who was a neighbor of the Cheek family in Edgecombe/Beaufort Co., NC. There is no direct evidence. However, Samuel Swearingen, Jr., had a son named Richard Cheek SWEARINGEN (b. 1760), as proven by Samuel's will dated June 27, 1805, recorded Jan. 1819, Lincoln Co., NC. The will names a wife, Elinor, but Ann Cheek could have been a first wife. Update: descendant Steve Bench writes that Eleanor "Nelly" HUNT was indeed Samuel Swearingen's 2nd wife. They married in 1805 when he was 85-90 years old. Samuel's first wife's name was named Mary according to deeds recorded in Anson Co., NC (could her full name be Mary Ann?). Samuel Swearingen, Jr. was b. bet. 1716-1720 in Prince George Co., MD, and moved to the Cheeks Creek area of Anson (now Montgomery) Co., NC, in the 1760's with his brothers Van Swearingen and Thomas Swearingen. Cheeks Creek was probably named for John CHEEK (possibly Ann Cheek's brother) who settled there prior to 1750. Samuel Swearingen d. before 1816 in Lincoln Co., NC, when Nelly remarried, although his will was not recorded until 1819. For more info see Early Families of Southern Maryland by Elise Greenup Jourdan (Heritage Books, 2007), pp.142-144. ichard Cheek, Sr., and his family migrated from Spotsylvania County, VA, to North Carolina sometime between 1730-1732 and settled on the Tar River in Beaufort County. I like to call him as "Richard of Beaufort" in order to distinguish him from all the other Richard Cheeks in North Carolina. The first names Richard, Robert, James, William, and John were extraordinarily common in the Cheek family. Not everyone believes that "Richard of Beaufort" was a son of John Cheek, Sr., of Essex County, VA. The evidence for their relationship comes from a deed dated Nov. 17, 1717, where John Cheek sold 48 acres in Essex County to Richard Cheek. (Essex Deeds & Wills 1717/1719, pp. 116, 119.) Richard Cheek sold these 48 acres to James Johnson in 1721. (Essex Deed Book 17, pp. 27, 312.) Richard then disappears from Essex County, apparently reappearing(?) in Spotsylvania County in 1724. However, some researchers feel that the Richard Cheek in Essex County, VA, was not the same Richard Cheek later found in Spotsylvania. DNA testing of several Cheek descendants has proven that Richard "of Beaufort" was closely related to John Cheek "of Essex." It is possible, however, that Richard was John's cousin or nephew rather than his son. DNA testing cannot pinpoint a specific ancestor, although it can show whether two people had a common ancestor within a certain time frame. The probability that the modern-day descendants of John "of Essex" and Richard "of Beaufort" had a common ancestor within the last 300 years is around 90%-95%. One clue comes from a reference in the Spotsylvania records in 1728 to a Richard Cheek JR., which implies there were two different Richard Cheeks in the community. On Sept. 28, 1728, Richard Cheek Jr. and William Cheek patented 1,000 acres in Spotsylvania (later forfeited for lack of cultivation). It's possible that this Richard Jr. and William were the sons of John "of Essex", and our Richard "of Beaufort" Cheek (who was also in Spotsylvania County at the time) was perhaps an older cousin or uncle. In any event, Richard "of Beaufort" Cheek appeared in St. George's Parish, Spotsylvania County, by 1724, where he obtained land on a creek then called the "Nussaponnack Run," now known as Massaponax Creek. It is near the city of Fredericksburg, VA. Richard lived there until 1730-1732. He seems to have been a moderately well-off "planter" or landowner, doubtless growing tobacco. He served as a Deputy Sheriff in 1726 and 1727 and his name appears frequently in the Spotsylvania court records, generally as a party to lawsuits (American colonists were notoriously litigious), or in connection with his duties as Deputy Sheriff. In April 1729, we come across a somewhat shocking record that Richard Cheek had been arrested for burning down the dwelling house of a local lawyer named Moseley Battaley (Bataille). He was ordered to stand trial in Williamsburg. (Spots. Order Book 1724-1730, Part III, p.293, 295, 296, 301, and Part IV, p.371.) THIS MAY HAVE BEEN A DIFFERENT RICHARD CHEEK (see below), perhaps the younger Richard Cheek JR. Unfortunately, the records of the trial have not survived. Longtime Cheek researcher Forrest King believes there were in fact 2 different Richard Cheeks in Spotsylvania, and that Richard "of Beaufort" was not the arsonist. If you study the court records, one Richard Cheek was in the goal by Mar. 30, 1729, his petition for a retrial was rejected, and expenditures were made on him through Feb. 3, 1729/1730. In the meantime, a Richard Cheek appears several times in court including with wife Jane. Richard Cheek and his wife sold their land in Spotsylvania County in 1730, and by 1732 they were in Edgecombe County, North Carolina. For years, European settlers had avoided North Carolina as an abode of pirates and hostile Tuscarora Indians. But conditions in the colony had become more favorable by the 1720's. To reach North Carolina, the Cheeks probably traveled the great overland route known as the "King's Highway," which would have taken them on a journey of over 250 miles from Fredericksburg, VA, to New Bern, North Carolina. No one knows for certain why Richard and his family decided to leave Virginia for the North Carolina wilderness. However, the political turmoil in Spotsylvania County is a possible explanation. eligion may also have played a role in the Cheek's decision to immigrate. We know that at least some of Richard's children were Quakers. The Society of Quakers gained many converts in the Tidewater region of Virginia in the early 1700's. 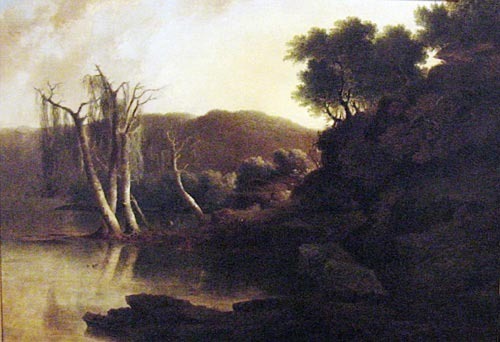 Unfortunately, religious dissenters were not particularly welcome in Anglican Virginia, and Quakers in particular left in large numbers to escape religious persecution, and because of their opposition to slavery. One early Quaker settlement (1720) was on the Albemarle Sound in the northeast corner of North Carolina. Later, in the 1740's, the Earl of Granville encouraged Quaker migration by offering inexpensive land grants in North Carolina's Granville District. Colonial proprietors needed to attract settlers in order to generate tax revenue, and they often promoted frontier territory to groups who were unpopular in other areas. 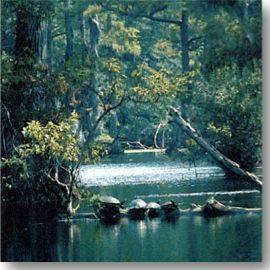 In 1737 and 1738, Richard Cheek obtained land on the north side of the Tar River at the border of Beaufort and Edgecombe Counties, "near the south swamp of the Coneghta" (Conetoe). He built a mill on a creek that is still called Cheek's Mill Creek. The creek is located in present-day Pitt County at the Edgecombe county line, about halfway between the cities of Tarboro and Greenville, NC. Richard's wife Jane is often identified as Jane RANDLE or RANDOLPH. According to an unpublished manuscript at the North Carolina Archives by Cecil E. Burney, dated Mar. 1, 1967, "While it has not been established, some genealogists believed that Mrs. Richard Cheek had been a Randolph of Virginia and that she named [her son Randolph] for her family." Researcher Larry Cates thinks Jane might have been a daughter of John Randle, Sr. of New Kent County, VA, and a sister of Josiah and John Randle of King William County. John Randle may be the person who was imported by Thomas Glascock (Glasscock) for land on the north side of the Rappahannock on Morattico Creek prior to 1662. There is one entry for his daughter Elizabeth, recorded in St. Peter's Parish (New Kent, James City Co., VA), who was baptized June 13, 1686. There is also an Alexander RANDLE (Randol, Randall) who lived on the Tar River near the Cheeks in North Carolina. Richard Cheek of Beaufort County, NC, wrote his will on Sept. 29, 1743, prior to a trip to South Carolina. It was recorded in Beaufort County on Apr. 30, 1745. (Will Book N, p.144.) The will names his Jane and nine children, William, Richard, Elizabeth BURNEY, Jane, John, Robert, James, Randolph, and Ann. The witnesses were Robert Cheek, William Hix, and John Thigpen. Richard's son Robert was under age 14 and a beneficiary of the will, so this might be another Robert Cheek; possibly a brother of Richard who was also going to South Carolina? On the other hand, people in those days often drew up their own legal documents without an attorney, and it is not unusual to find a beneficiary serving as a witness.